Do you know that over 8 billion videos are watched on Facebook every day? By 2020, online videos will account for more than 80% of all consumer internet traffic. No doubt, video is huge on social media. Social media platforms already offer various possibilities for video sharing. You can upload video files, record videos from the app or go live on the platform. Some might say: “I don’t feel comfortable with doing live videos” or “I don’t have video editing skills to create nice content”. Well, no worries, there are other ways to simply create video content. 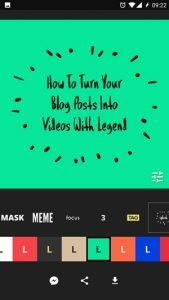 Probably the easiest thing you can do is reuse blog posts and turn them into short videos. 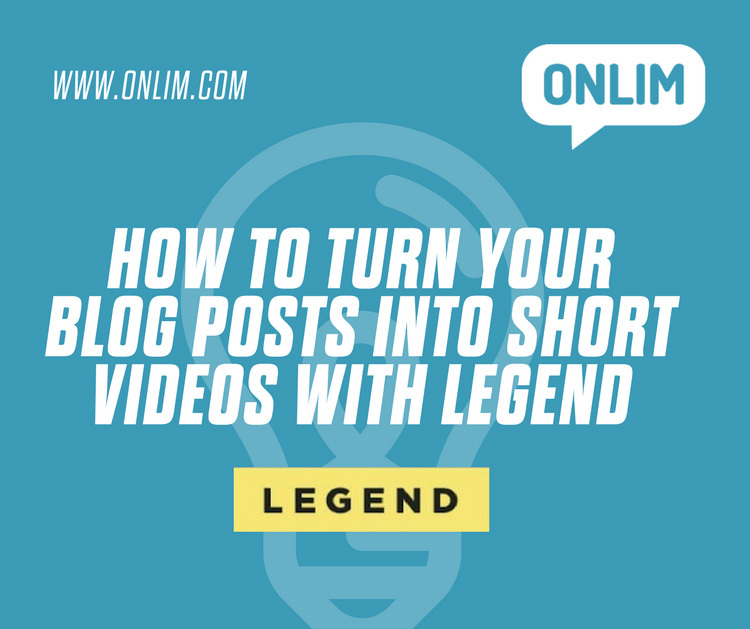 We also use this method, as it’s fast, simple and videos are more attracting on social media than just sharing a link to our article. 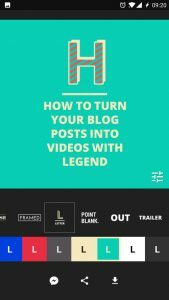 To create the videos we love using the LEGEND app. It can be downloaded for free in the Android as well as IOS App Store. 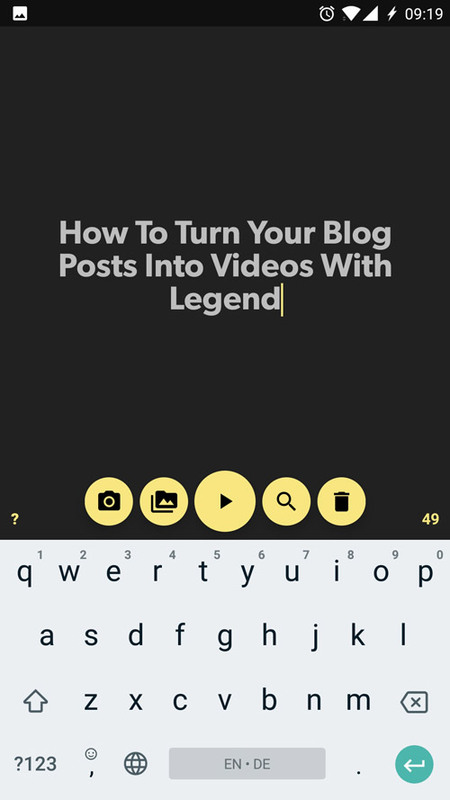 The LEGEND app animates text and allows you to add images or other backgrounds. 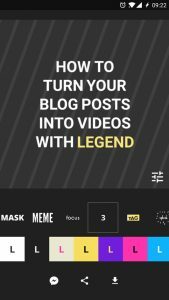 Creating videos or even GIFs with LEGEND is very simple. 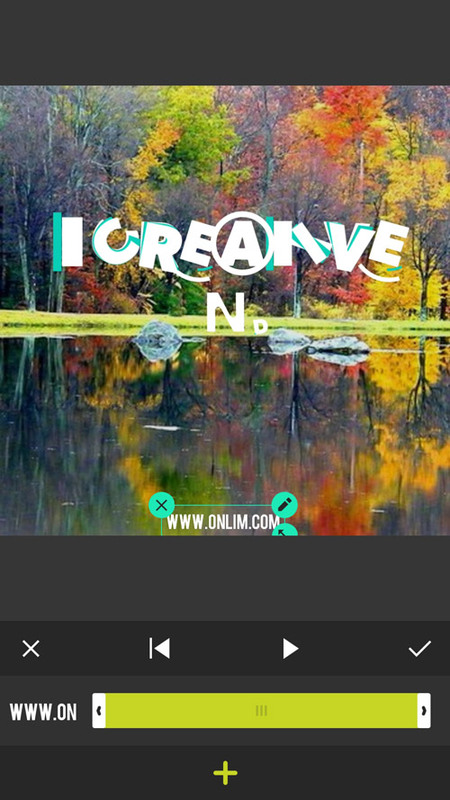 All you need to do is write your text, select a background image and text animation style and save it as MP4 or GIF. Now let’s have a closer look at each of the steps. 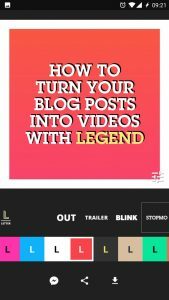 LEGEND offers several options for your video background. First, you can add your own photo. You can either take it or choose one from your phone. Another option that is pretty cool is you can search for images on Flickr through the app. 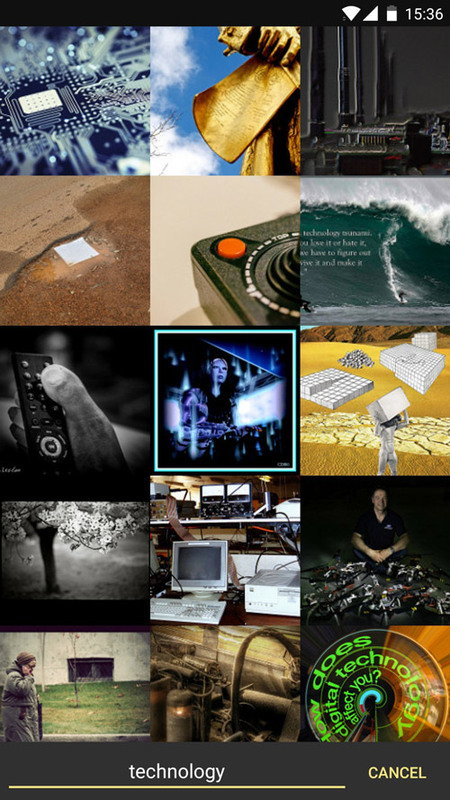 If you search for several keywords, you’ll usually find a suitable image that you like. You can then resize the image and add it as background. 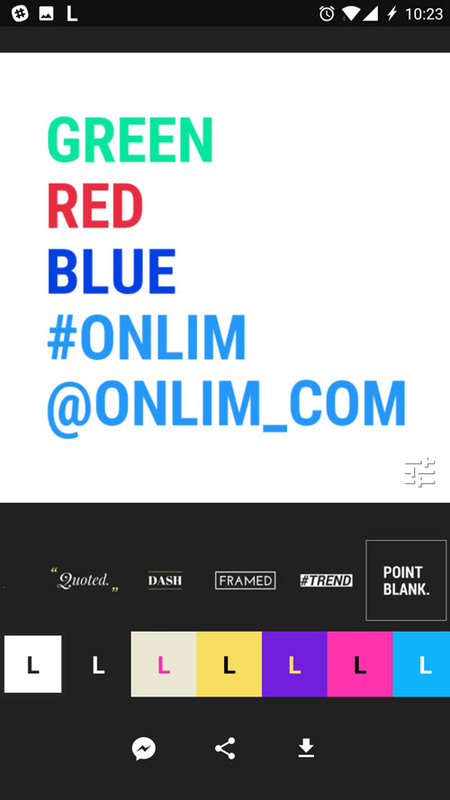 You have 20 amazing text animation styles to play with. It’s probably best to just go through them and see what you like best. If you haven’t chosen a background image in the last step, you will here see different background colours depending on the animation style you choose. Another cool thing about the LEGEND animations are their so-called power features. When you write times, distances, percentages and numbers they trigger custom animations. Moreover, LEGEND understands colours and hashtags and usernames are highlighted as well. After you have chosen a nice animation style, you have various options for exporting. First, choose the format and size of your video. 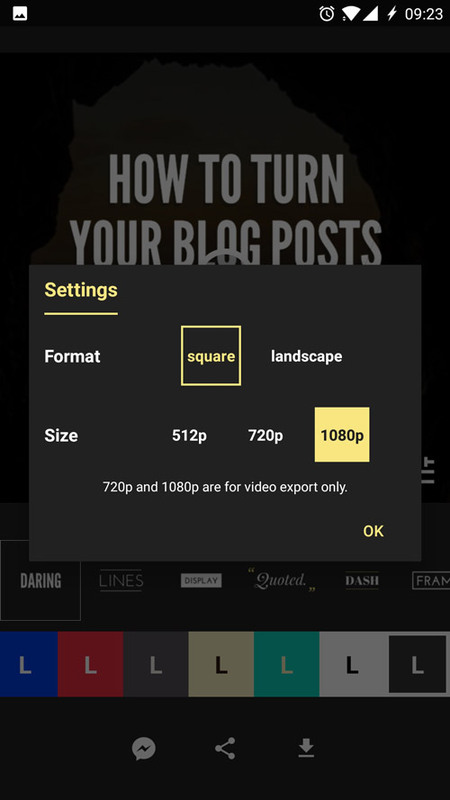 It can be square or landscape and you can choose between 512p, 720p or 1080p to export it. As you can see 720p and 1080p are for video export only. We usually choose square and 1080p. Then the quality is good enough for all platforms. Then you just have to decide whether you want to export it as animated GIF or video or share it directly from the app. For now you want to download the video. Now repeat those steps for 6-8 short videos. 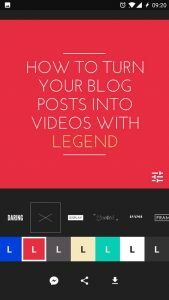 Each of them will be 6 seconds long and together they should cover the most important points from your blog post. To put them together into one single video we use another app called InShot. You can download it for free in the Android and IOS App Store. 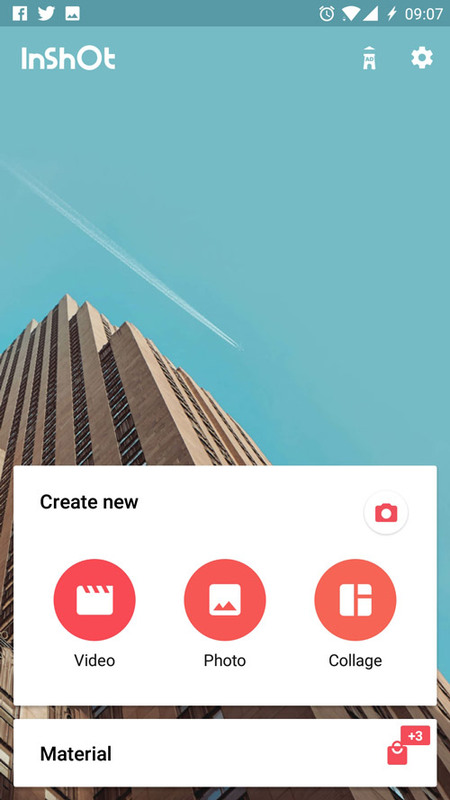 InShot allows you to create videos, photos and even collages. With the app it’s easy to put all short videos after one another and create a nice video out of them. Depending on the animation style you chose in LEGEND, the background images may appear before the text so the video might seem a bit halting. 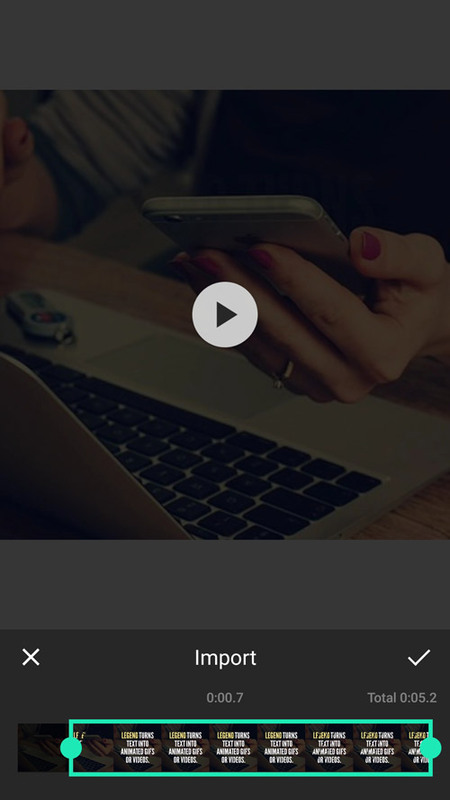 To avoid this, just trim the first seconds of the short videos in InShot. Then it will become a nice and fluent video. If you want, you can also add some text. We usually use it to add our website. 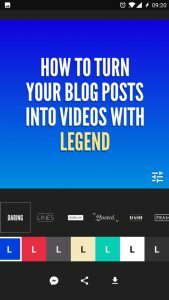 Have fun using LEGEND and let me know in the comments what other tools you like to use for turning your blog posts into videos.